Claim: Berkeley Lab scientists identify a new driver behind Arctic warming | Watts Up With That? The research was supported by NASA and the Department of Energy’s Office of Science. November 3, 2014 in Arctic. If far-IR hasn’t been considered until now, I have to wonder – what’s the absorptivity of atmospheric gases in the far-IR range? It’s all well and good that liquid and solid materials might be absorbing a bigger amount of energy in that range, but if they’re re-emitting through a transparent medium, then it does nothing to affect the atmospheric energy balance. Are you for real? Is it possible for anyone to know so little about the science behind climate change. Far-IR is the key to the GH effect. You dont have to wonder, you can just look it up, even Wiki has managed it. No ‘Scientist’ worth his grant money would go to Wikipedia for information. He would apply for a new grant, develop a new instrument, outfit an expedition to the Arctic for testing, then establish a ten year program to verify his findings. Wikipedia indeed! Do you always just jump to the comments, without reading the articles? According to the article, far infra-red is 15 to 100 micrometers. The chart you provided only goes to 30 micrometers. Therefore, the chart you provide does not answer the question asked. PS, I notice that in the range of 15 to 30 micrometers, the atmosphere is quite transparent. Did you also notice that CO2 is the main absorber in that range? They ran it on a model. So that’s all right, then. I already dreamed this idea up. The only costs associated, were a pair of pajamas and a tablespoon of Nyquil. But I didn’t mention it because I was told “The science is settled”. “The models assume that all surfaces are 100 percent efficient in emitting far-infrared energy”. Big assumption for so called settled science. WTF are these idiots on ? Crack cocaine on Michigan Pot. Crack cocaine is less addictive than AGW mania. That sounds like a research project that could chew up government grants for years and years. “Global warming/Climate change”… the gift that keeps on giving. How about just recognizing the reality that Arctic sea ice was at about a century high extent in 1979 & that the PDO had just switched modes in 1977, so greater summer melting was only to be expected for around thirty years? That’s what happened during the prior warm phase of the PDO, c. 1917-46, before cooling from c. 1947-76. They ran the numbers on the Department of Energy’s Accelerated Climate Model for Energy (ACME). Wile E. Coyote, call your office. Eventually CACA advocates will realize that they’re running place, suspended in mid-air, & come crashing to earth. Perhaps best to leave for some other time. For the past 2 years now, I’ve observed some strange anomalies near the poles. During the last 2 Northern Hemisphere Summer’s, the highest latitudes have consistently stayed much colder than average. At the same time, in and around the South Pole, which is their Winter, a large pool of warmer than average temperatures prevails for much of the season. Then, 6 months later, the seasons flip and so have the anomalies. This brings the Northern Hemisphere’s Winter, along with warm anomalies in the high latitudes, along with cold anomalies in and around the South Pole. I only first noticed these anomalies in the N.Hemi Summer of 2013, which meant nothing. It repeated but flipped in the N.Hemi WInter(Southern Summer), again in the Summer 2014 at both Hemisphere’s and we are approaching the N.Hemisphere Winter with the same unusual, exact opposite extremes at the 2 poles showing up. Since this pattern would also cause more -AO’s(negative values in Arctic Oscillation) in our Winter, which has occurred at least since the Winter 2009/10 for the Northern Hemisphere(Winter of 2011/12 was the big exception). There is likely something which is causing it………..and the effect “may” flip every 6 months to the opposite hemisphere. I’m not smart enough to explain the mechanism, at least not in this case but as an operational meteorologist for 33 years, an only report this pattern in recent observations. Earth’s magnetic field has highest intensity very high latitudes, while the %ual change across the globe may be uniform, in the absolute terms it is greatest near the poles. And as coincidence the greatest temperature anomaly is at polar areas too. There may be some doubt, but it is most likely that both directly or indirectly are linked to the sun, at least as far as I can ascertain , but then I might be in minority of one. Yes, that seems to be a viable explanation, so I am in agreement with you. The apparent flip of the effect in hemisphere’s every 6 months for the past 2 years-that I noticed- is either coincidental or related to the sun. I can’t explain or prove the mechanism. If it continues to repeat, then coincidence will gradually be ruled out and explanations will come. Solar direct input via the TSI is at its weakest within the polar regions, in contrast the sun-earth magnetic link is the strongest. To explain how lack of one and the excess of the other could translate into the anomalies as illustrated above is not going to be easy or imminent. I agree too that changes in TSI would not explain this. It may be also, that this is not primarily a global warming/global cooling phenomena as much as it is something that greatly effects regional climate and modulates the manner with which our planet redistributes heat/energy. There are some strong similarities with this pattern to the 1970’s(especially 76/77 and 77/78) that I have noted looking back at weather maps/patterns for something that fits. I only have Northern Hemisphere weather maps going back 60 years, with have no idea what the Southern Hemisphere was doing then. Well, the anomalies are calculated from an average. If we have just a lower amplitude now than for the time span the average was calculated this would show such an effect. Thanks for sharing your article. Sometimes, the path to learning something new, requires not knowing too much about it to begin with. A prior understanding of the way things should work can cause us to discard key elements because they don’t match up with a preconceived notion(without us even realizing it). Making observations and allowing the empirical data to speak is what most think is happening. However, our preconceived notions have already done some processing of the information while it was coming in. Humans are subjective by nature. Unique perspective by scientists vs “the old days” perspective is how science discovers new things. Occasionally I write about what I find in data, scientific or not that is the least of my concerns. Please see my replay above yours. Thanks for your kind words. On this blog I am more often than not rebuked (to put it mildly) for promoting pseudo-science etc. I look at the data and if I find something with no previous reference through a web search, I write about it (e.g.page 8&9 and 11&12 of the article you mentioned). To make a point of one kind or another, in order to make it at least comprehendible, it is necessary to ‘dress it up’ with a bit of a background science, which often I may not get entirely correct and sometime not correct at all. I don’t expect congratulations and equally denunciation doesn’t bother me. above link should be for version v2, with the current data link. I would assume you meant to say string-hypothesis, either way, approach you recommend might be more suited for the higher echelons of academia. Anyway, thanks for the recommendation, I have to profess to a total ignorance of the finer elements of the first let alone the second string-whatever it is. A key element to accurately forecasting weather and climate and many other things in our world, like commodity prices and crop yields is using pattern recognition. Weather models really are very useful for instance as they take into account all the physical laws of our world and represent them with the best mathematical equations we know of. However, many patterns that are teleconnected with each other or have great similarities with past patterns or are consistently under or over forecasted by models can be spotted by an observer with a keen eye for pattern recognition and awareness of model shortcomings. In essence, a good meteorologist shows better skill forecasting than a forecast based on model guidance alone. A good climate scientist also shows better skill forecasting than those that rely on model guidance alone. Pattern recognition is one of the reasons for this. You may believe what you want. But bad models have been used for many many years. Something’s misstated or not fully explained here.”It also complements a process in which darker oceans absorb more solar energy than sea ice”. The law of radiation physics is” A poor emitter is a poor absorber (and a good reflector).”. It can’t be both a poor emitter in the far-IR and a good absorber in the far-IR. Nice observation, Jane H. M..
And, to make it stand out a bit, I’m applauding you here! Correct. And it has a name: Kirchhoff’s Law of Thermal Radiation. CACA has its own physical laws. Those who pay the bills make the laws. The more correct form: emissivity is equal to absorptivity for a given wavelength. For the oceans SW absorption is higher than IR emissivity. Good point, which resolves the conundrum being discussed. The Earth tends to absorb energy around the Visible wavelengths, and then emit energy in the infrared. Something can be a poor emitter in the IR and a good absorber in VNIR. The proverbial (and perhaps legendary) greenhouse effect is an example. There is a greenhouse effect on earth, but it is in the oceans not atmosphere. A material can only emit on frequencies it absorbs in. You are confusing radiative heat transfer with conductive/convective heat transfer. A material may be heated by conduction or convection and then emit in it’s characteristic wavelengths (if it has colder space to radiate to) OR it may absorb energy in its characteristic wavelengths and transfer that energy to ANOTHER material via conduction or convection. In that case it is highly unlikely that new material would then radiate energy on its wavelengths since no transfer is loss-less and the environment it’s in is already at the higher temperature of the original incoming radiation. The 2nd Law of Thermodynamics doesn’t let you amplify that heat going back. That’s why you should have used the term “mythical” when describing the “greenhouse effect” as it is a fictional construct and most atmospheric heat transfer (until you get above the stratosphere) is by convection that is more properly explained by Gas Law and gravity. nielszoo – I don’t think that what you say can be true for the ocean. Visible light penetrates some distance, but at greater depth it’s dark.That seems to imply that visible light’s energy is being absorbed (Leif will explain in scientific detail if asked). But the ocean does emit infrared. Water is a poor emitter and equally poor absorber of far-IR. 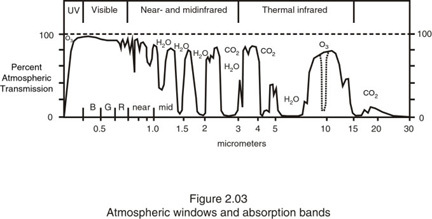 They are defining far-IR as 15-100 microns, and the peak absorption/emission of CO2 is at 15 microns in the far-IR. This should have been known due to the penetration depth in water of IR, which is only a few microns. That means IR from GHGs can’t penetrate the ocean skin surface, and just causes evaporative cooling of the ocean skin surface. On the other hand, solar wavelengths can penetrate up to 100m to heat the bulk of the oceans. This solar heat then gets converted to IR radiation emitted by the water molecules, which gets “trapped” by bumping into another water molecule each time the IR emission travels only a few microns. For these reasons, ocean warming is only related to solar activity and modulators of sunshine at the surface like clouds, not greenhouse gases. But at the high latitudes the incidence angle for the UV is so high that most of it reflects. It is the Tropical ocean that drives the Earth’s heat engine. The incoming radiation is the entire spectrum of radiation. The outgoing radiation they are studying is just the longwave IR. Make sense now? “Many of today’s spectrometers cannot detect far-infrared wavelengths, which explains the dearth of field measurements. Because of this, scientists have extrapolated the effects of far-infrared surface emissions based on what’s known at the wavelengths measured by today’s spectrometers. … run on a global atmosphere climate model called the Community Earth System Model, which is closely tied to the Department of Energy’s Accelerated Climate Model for Energy (ACME). Plausible conjecture, yes, but just conjecture, so far. @ All Genuine Scientists studying the full spectrum of TSI: HANG IN THERE! YOURS IS WORTHWHILE WORK. Courage! And, thank you, Jane H. M., for the education (at 1244 today)! Now, I see that the conjecture isn’t even plausible! I TAKE THAT PART BACK and stand CORRECTED! Wow!, really, they discovered that liquid oceans have a warmer surface then ice covered surface. At least a part of their computer models work. I think the point made that a greater percentage of liquid water loses energy through evaporation as opposed to radiation is well known, and may be the reason liquid warmer water appears not to lose as much through radiation as ice. Indeed, an exhaustive ten-year $100 million study has shown that the temperature of liquid ocean never goes below -3 degrees Celsius, while ice can be as cold much as – 70 degrees Celsius. A pilot study has also found that water ocean temperatures can go as high as +30 degrees. A new research program is now in progress which is trying to find +30 degrees ice covered areas. As yet progress has been limited. I thought this is what basic climate science is. For advanced climate science you average the averages of the simulations and apply mathmatical filters to get an outcome that only by accident might relate to the physical world. Yes, lol, Alx. For instance, you may have wondered why your name, Allen, keeps coming out “Alx.” Well! It was first run through the IPCC model. Voila! The average of an extrapolation (Allenaxenderishman … truncated…. then…… heh, heh, heh). But surely this phenomenon has been occurring forever, and these folk have just discoverd it. Do the simulations give numbers that agree with observation? I don’t see any mention of comparing simulation output robustly to observed reality. By robustly I mean with numbers and error bars. So, they claim it’s a feedback from polar ice melt. The last year’s large increase in Arctic sea ice, put’s a bit of a dent in their simulation. But OTOH, it does seem to be a plausible mechanism for the known rapid cooling/warming episodes; Y-D etc. My god,can you give me a break on what’s going on with this non-existent AGW & get to the point! The cellmates are running the looneybin & Al Bore,Mr.O Bama & the the idiots on the left won’t let go even when they’re wrong.If this lie or even a reality equates to some semblance of the truth ,I still want to know how much(of a bad temp.) did man create and the rest will be blamed on what?So just to end All(blame the living planet) since the greenies are that smart.How do you fix what you don’t know. Trying integrating the Planck curve for earthly temps in the far infrared, then tell me how much flux you get…not much. For starters, you can see that virtually none of the long-wave IR (5-100 microns) is received directly from the Sun. It’s all “earth-shine”, coming from the Eath’s surface and atmosphere, which has been heated by the shorter UV, Visible and Near-IR from the Sun. The visible imagery (reflected sunshine) changes from bright to dark from daytime to nighttime. But the IR and WV (emitted earth-shine) are constant from day to night (making them very useful for 24-hour surveillance of weather!). The Earth shines (in effect) like a very low-wattage star! Also you can see that earth-shine longer than 50 microns is neglible. Yes, obviously the longwave IR intensity per m2 at the top of the solar “atmosphere” would greatly outshine our earth-shine, so the solar intensity must be normalized for the solid angle subtended by the Earth’s disk, or, equivalently, normalized by computing the reduction in intensity according to the inverse square law. Yes, note the 10^-6. That is FLUX, not full sphere. I take it you will need a piece of paper 83 KILOMETRES long to show sun flux on same scale as earth flux. Yes, it would be, including the factor of 10^6, if the x-axis were linear. But it is logarithmic, and over three orders of magnitude. It sure is good to know the science of (C)AGW is firmly settled. This article raises my fear for colder times. The snow cover has increased and the sea ice has increased, so it might very well be colder in the future. We have been told that less snow and ice can start an evil circle with more warming and so on. More snow and ice would then lead to even more snow and ice and so on until we face a full blown ice age. I see some problems here. First, the winter sea ice cover is still very large and just slightly reduced. Second, ice and snow may be a good emitter, but it’s also a good isolator. I see “climate scientists” bound and determined to fit square pegs into round holes. And use a bigger hammer! Nope no way, the science is settled. Berkeley Lab scientists will just have to take back their new driver and stick with the old drivers. Sorry but thats the way the cookie crumbles, or clouds disperse, or whatever in UN sponsered climate science. Please enter the man made temp here ——-since man causes everything! But wait we can stop<oh wait ,we can stop stupidity by getting the UN out of the way & a lot of paid BS artists out of the way for a real discussion When your called a "denier" it's called an insult & start from a negitive.Call Lord M. or Weatherman(started the weather ch.) to call on al gore for a debate on this mess.O Bama said the discussion is over when it hasn't started.The fool lies! It’s a subset of infrared radiation, which spans wavelengths between 5 and 100 microns. In comparison, visible light, which is another form of electromagnetic radiation, has a much shorter wavelength of between 390 and 700 nanometers (a nanometer is one billionth of a meter). So what happens between the end of the visible spectrum (red) at 700nm or 0.7um and the begining of infra-red at 5um ?! The transition from visible to near IR occurs at ~750 nm, although some people can see into the IR. At 5-100 microns, the authors must be referring to the far IR alone, but that segment of the spectrum is usually given as 14 µm to a mm. For astronomers, however, it’s typically considered 25 µm to 350 µm. Sure, there’s now exact cut-off like there’s no fixed frequency at which hearing ends. But most people with minimal science knowledge, know that ultrasound starts where audible sound ends. But hey, this is a press release from an “Earth Science” group. You don’t expect them to know that infra-red starts where red finishes, do you? With this newly found positive feedback it’s rather surprising that Arctic ice gained 50% in volume last year. You’d expect it to be locked into a death spiral by now. I did not find the article at the given link. I would be interested to see if the decreased emissivity is enough to offset the increased Black Body amplitude that comes with a warmer surface. Remember that the emissivity is only a multiplier on the Planck spectrum. So, no actual – like – measurements then? The result has been stated in terms of the current meme of warming, probably to make it easier to publish. But that isn’t where the real import is. Once you get rid of all the PC packaging what they are really saying is that ice and snow radiate less heat than we had previously thought compared to non-frozen surfaces, and therefore have a significantly lower propensity to melt via thermal emission than we had previously calculated. This observation has only very limited implications in terms of warming. The real implication of this result is that the tipping point into ice age is considerably more dangerous than we had previously thought. Get enough ice on a big enough fraction of the Northern Hemisphere for long enough, and it will all be over rover. This helps explain why the onset of ice age can be so sudden. Aagh – I obviously meant to say “ice and snow radiate MORE heat than we had previously thought”. Brain needs coffee. Exactly what I thought. The tipping point works also for SW (reflection). How got we ever back into the holocene? After 30 years of doom-shrieking, climastrology finally works out that the oceans are not a “near blackbody” after all? Well they haven’t identified a new driver behind Arctic warming. They have just collided with the reason that AGW is physically impossible. The oceans are not a near blackbody they are a SW selective surface. There are two main factors behind this. The first is that SW absorptivity for the oceans is higher than IR emissivity. However to get an accurate figure for IR emissivity, more field measurements are not what is required at all. IR measurement in the lab is what is required with background IR eliminated by an artificial 3K “sky”. (you may find it incredible, but this simple experiment has not been done, climastrologists just assumed.) Instead of the old 0.96 figure, IR emissivity for water should be down near 0.7 for the 5 to 100 micron range. This alone would mean the “surface without atmosphere” figure for a SW and IR opaque surface constantly illuminated with 240 w/m2 would be raised from 255K to 273K. 2. If materials are solid, intermittent SW illumination will result in surface temps for A higher than B, with average temp of A also higher than B. 3. If materials are liquid and convect, constant SW illumination will result in surface temps for A higher than B, with average temp of A higher than B. 4. If materials are liquid and convect, intermittent SW illumination will result in higher temperature differential (both surface and average) between A & B than condition 3. 5. If materials are liquid and convect, intermittently SW illuminated and deeper than condition 4, temperature differential between A & B will be greater again than condition 4. The combination of these two factors means a conservative “surface without atmosphere” figure for the oceans should be 335K, but probably higher. Even if the figure for land is kept at 255K, that still results in a global figure of 312K. Current surface average is around 288K, which means the net effect of our radiativly cooled atmosphere on surface temps is….? 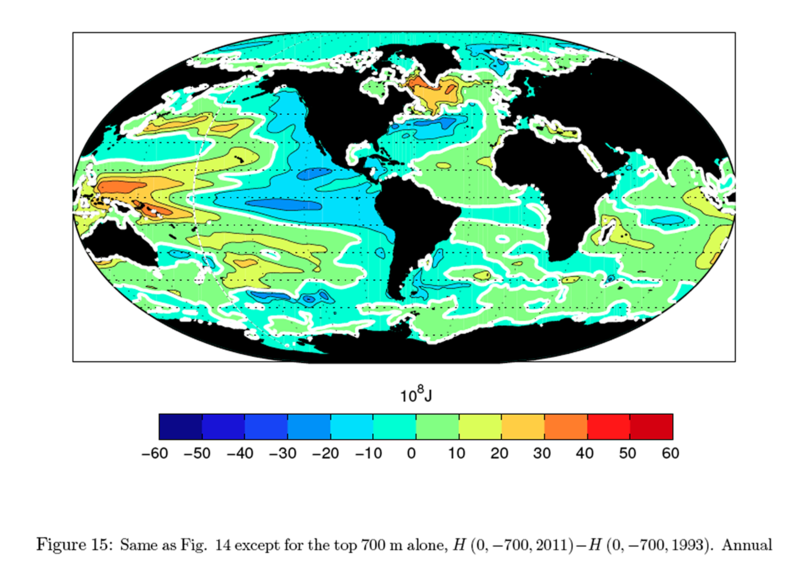 It isn’t the atmosphere that determines the oceans 295 K (22˚ C) surface temperature. It is the oceans radiative and evaporation rates that do that. Because of this, scientists have extrapolated the effects of far-infrared surface emissions based on what’s known at the wavelengths measured by today’s spectrometers. Feldman and colleagues suspected this approach is overly simplistic, so they refined the numbers by reviewing published studies of far-infrared surface properties. Hey, you mean extrapolation way beyond the end the data is not reliable. You mean that if you take the time research REAL data you get better results? Wow. This is a landmark paper in “earth sciences”. I don’t know how they managed to get this published, I only hope that the IPCC’s political correction department does not get to hear about it, they will be ostracised. Just imagine what could happen if someone pointed out that extrapolating 100 [years] hence based on the temperature changes from 1960 to 1998 was not valid. The whole pack of cards could come tumbling down around their ears. Yikes! At that rate all himalayan glaciers could disappear by the year 2035 ! Heat is molecular motion. The faster the motion, the greater the heat. Shorter wavelengths are emitted from hotter objects as they have more molecules moving with more violence and speed. Ice, therefore will obviously emit more longer wave infra red than liquid water. The warming of the Arctic is not due to the “accumulation” of heat, but due to the “ventilation” of heat. But instead of acknowledging the evidence, they create “a previously unknown phenomenon” that the Arctic Ocean traps far-infrared radiation, even though physics suggests oceans are essentially impervious to infrared. That does not stop them emitting far-IR to the same extent. Increased radiative and convective losses are why the ice data shows a slowing of the melting , not a death spiral. It seems that they always forget two things about the Arctic: High Latitude means sharp glancing angle – UV more likely to reflect, and convection is a major driver of open water surface temperature. 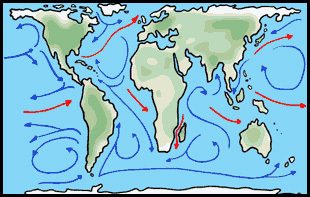 I have heard the argument that the glance angle is only for a smooth ocean and that waves would cause more UV absorption, but as those waves are caused mostly by the winds, the convection factor goes up even more as the warmer water below the first couple of microns keeps coming to the surface with the added energy of the churning water and the highest energy molecules jump into the air. The problem is I haven’t seen the math on these two factors to tell me whether my gut reaction is right. If I were a climate scientist I would extrapolate (make up) some data and apply them to a model that I wrote just for the occasion that gives the answer I want and presto – press release city. 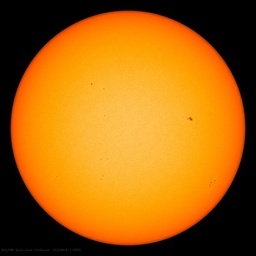 Solar radiation in the high latitudes, is looking through Air mass 2.0 or greater, so there is not going to be a lot of UV making it to the surface. About 1% of solar spectrum (TSI) should be 250 nm or less anyway, so not a big polar heating source. Owen, summer melt ponds are now reckoned to be an important factor and these will be a lot smoother than open water. I tried to get access to one of the main ice modelling projects that claims to be open source but they don’t even have the manners to reply with a refusal. Since none of them are too impressive, they don’t seem to want any “outsiders” poking around and telling where they may be able to fix their inadequate models. Solar radiation in the high latitudes, is looking through Air mass 2.0 or greater, so there is not going to be a lot of UV making it to the surface. Depending on latitude and time of day, air mass in the Arctic will be as much as 13 to 15 (before 8:00 am, after 4:00 pm) and 4, 5 or 6 near midday. I have a TSI-TOA-air mass-SW atmospheric attenuation calculator available in Excel for any latitude, any day-of-year, and hour-of-day if that will be helpful.. Break that problem into two parts: Reflections from ice, and reflections from open water. Judith Curry has measured the Arctic ice over the entire April-September melting season, and I have her papers. (See her website for the full links; the ice albedo measurements is Curry, 2001 group. A single function curve-fit to her data points is the following in Excel’s language. Note: That is my equation through her data graphs, not Dr Curry's. Those values for open water (across the open ocean, off of Chesapeake Bay light towers, over open lakes, nd in the high arctic ocean, etc) albedo have been measured at all solar elevation angles from 10 degrees through 90 degrees and are available. They have been corrected (re-measured) for wind conditions, and for clouds. The formula is a bit more complex than a simple curve fit, but it is available. I’ll have to look up the various papers to get you that formula, but the figures and graphs are available. The specific formula for albedo as a function of solar elevation angle and wind speed is a bit complex, but very, very real. And, in fact, it DOES show a rising albedo strongly up from the vertical (Wikipedia) value of 0.067 to about 0.42 at angles less than 5 degrees above the horizon. (Calm waters). Add wind speeds, and the albedo goes down, but NOT as much as the CAGW catastro-physicists lead you to believe. The coldest sea surface can get is freezing point of sea water. Sea ice on the other hand can get a lot colder (on the top side at any rate). So, even if this article is correct, open water radiates more energy because the ice surface gets a lot colder and Stefan-Boltzmann Law kicks in, and SB Law is no mere “we think there might be this effect” it is an actual law. SB Law would dwarf the putative effects theorized in this article. In the winter months (as they are postulating) I would assume that the Arctic ice is covered by layer of frozen snow containing considerable percentage of air, which at the same time is a good insulator and a poor radiator. .
No. Snow emissivity is nearly equal that of ice. [Thanks] for your correction, I know that the deep layer of snow is good insulator, as emitter, after looking at your table, there is little difference between water, ice or snow (snow being the worst of three), I stand to be corrected , on the other hand I’ll stand by my previous opening statement : “The Arctic ocean is warmed by the North Atlantic warm currents inflow. Plain and simple.”, I wrote further up the thread. Yup. Double sigh. Lets see, infrared wavelength is proportional to emitting temperature… Something about EM wavelength inversly proportional to energy… Or some such physics forgotten here. Correct. The waxing and waning of Arctic sea ice is due to ocean currents, not air temperature. Make that a triple sigh. If I assume that they are competent, then I must also deduce that they are being duplicitous, to say the least. A minor change in the calculated emissivity of ice doesn’t change the fact that open water in polar regions will lose far more heat to space. Like a flame projecting from a punctured zeppelin. I don’t think you understand the process. When it is cloudy over the ocean the NET LW radiation is essentially zero. The only way the ocean loses energy is through evaporation (latent). The S-B equation doesn’t really have much applicability here. Genghis, their argument isn’t about cloudy days, it is about ALL days, and all surfaces radiate, water is just more complicated because it evaporates also. They are arguing that the ocean radiates less energy than ice of the same temperature, implying that reduced ice cover is a positive feedback. What they chose to ignore is that if this effect exists at all, it is minuscule compared to the effects of ice cover dropping to far lower temperatures than the sea water can reach, and so ice cover at the same temperature as sea water is something that almost never happens. The two simply aren’t comparable, and the drop in radiance from the colder ice surface would dwarf the effect they are talking about. This is akin to pointing out that mice weight 25% more than previously thought, so getting stepped on by one could be more dangerous as getting stepped on by an elephant. Did they ever notice that at a mean global Temperature of 288 K, the expected spectral peak, is about 10.1 microns, so the expected significant surface spectrum, would be from 5 microns to 80 microns, and this has been known to everybody but these researchers, for eons. 98% of the surface emissions are in that range. And if you cool it down to Antarctic cold temperatures like -94 deg. C then that peak moves to around 15 microns; right on the CO2 band. But the long end of it all is strongly absorbed by water. And if as they say, ice has higher long IR emissivity than water, then the LWIR sourced from the atmosphere or clouds, ought to do very little warming of the surface. And the sun is providing almost no LWIR anyway (at >15 microns). But LWIR emissions from night time polar regions is 4-6 times less than at 288 K so it isnot doing any cooling to write home about anyhow. The hot tropical daytime deserts is what is cooling the earth. A thank you to the commenters here for an informed and nuanced conversation regarding IR. Much learned and greatly appreciated. We need to actually measure all of this stuff. Every single photon from 5 metres under-ground to 100 kms above the surface across every possible spectrum and across every possible molecular absorption/emission spectrum and molecular collision-energy transfer rate before we will know what is going on and what additional CO2 will do. In other words, it is a “wicked problem”. It is a completely unsolvable problem that can only be approximated by measuring what the real Earth(tm) actually does. How does the real Earth actually respond. That is much easier to answer if the climate scientists would just quit adjusting the answers. The real Earth ™ is the answer. Not some obscure far-infrared emissivity values in the Arctic only. Its like trying to weigh an Elephant by talking about the shape of its ears. Bill, would you allow me to add to your …”Every single photon from 5 meters under-ground to 100 kms above the surface,” and add to at least 300 meters into the ocean depth…. and yes we need to know the residence time of every single W/L of energy with every single material it encounters, and we need to know all about the causes of cloud formations and jet stream location changes. Did I miss something here? DOES CO2 ABSORB THIS WAVELENGTH? Or not? or do we know? If half the energy emitted is in the far out IR, it would seem important to know this. I’ve been following climate science and radiative physics on several blogs for ~10yrs and I never heard of this far out IR. Then how can you blame it if it is unexplored? Didn’t they just invalidate their work vis-a-vis CAGW? The effect is one of OPEN WATER, but during the dark, winter months, the oceans are covered with ice! The far infrared is a warming hypothesis only during the open ocean times. Which is, what, August through October/November? But if the Arctic warming is most pronounced during the dark, winter times, then the reduced efficiency of far infrared transmission of open water is a moot point. The winter Arctic is warmer for some other reason. And that’s why there is no ice at the North pole, son. Perhaps the lack of correlation with CO2 buildup is why there was much more glacier melt (both in the Arctic and globally) in the 1920s-1940s than there has been in recent decades. [T]here was a warm period in the Arctic and Greenland in the 1920s and 1930s (Box 2002; Johannessen et al. 2004; Kobashi et al. 2011) at a time when anthropogenic global warming was relatively small (see, e.g., Fig. 9.5 ofHegerl et al. 2007). This promoted glacier mass loss at high latitudes in the Northern Hemisphere (e.g., Oerlemans et al. 2011) at a greater rate than the global mean. Although in L the difference is not striking in general (not shown; L includes 79 glaciers north of 60°N and 24 north of 70°N), it is pronounced in Greenland. Length records included in L indicate a greater rate of glacier retreat in the first than in the second half of the twentieth century in Greenland (Leclercq et al. 2012). Excellent point and well made, Kenneth Richards (at 1802 today). … who died in the early European Bronze Age (about 2,000 B.C.)…. … when there was no glacier there. The following is just sharing my heart…. skip it if you cannot stand to read anything about God on WUWT. that of human CO2 causing global warming. In the end, the truth comes out — every time. And, I like to think that “Ötzi” knows, now. He knows what he was born to do: to die on that lonely mountain — for us. Sigh. Well, good ol’ BBC would prefer NOT to make “Otzi the Iceman” 1993 Horizon documentary on BBC 2 ( 1 of 4 ) easily available to the public. As you will see upon clicking on the second video control window in my post just above, you must go to YouTube.com to watch it. Enter the above phrase about Ötzi in the youtube search box and you will find the video (and many others). I apologize for not testing this first. P.S. And I think, if he had not already written that novel, and if he had been alive and able to write c. 1992, Ernest Hemingway would have been inspired by Ötzi’s story to write The Old Man and the Sea…. for the Man who is a parallel for both Santiago and for Ötzi (and is clearly symbolized in that novel) would have come to mind… . A lonely man…. struggling with harsh elements of nature …. apparently failing in his mission…. but actually, triumphant. Maybe….. Ötzi, too, dreamed of the lions as he fell asleep for the last time… . Thank you. God, for arranging to have a guy murdered in order to disprove the AGW thesis soem 4000 years later. I’m sure Ötzi was thrilled to know he would be so important. Must have been a great comfort to him while his skull was being bashed in. But if you are in the business of arranging murders to teach us this, wouldn’t it have been neater, and more appropriate, to send the hit squad in to the people actually responsible for the AGW scam? Poor old Ötzi had nothing to do with it. Cool. That’s a great example of what I call “The Principle of Ultimate Contigencies”, where the best thing that can happen happens at the right time and the right place! You may call it a “miracle” if you wish. Thanks for being here Janice. Ötzi is not of the Bronze Age. His basically Neolithic technology is from the Chalcolithic or Copper Age, ie using copper but not yet bronze. He lived around the end of the Holocene Climatic Optimum, about 3350-3300 BC, not 2000 BC. He also might not have died alone. One school of thought interprets his remains as a burial, but that conclusion is still controversial among archaeologists and anthropologists. Someone removed the lethal arrow from his shoulder, while leaving its point inside him. I have no personal knowledge as you do of these facts and am not going to take the time to research them. My source (at about 5:57 in the BBC video above (See youtube for 1993 BBC documentary on Otzi Part 1)) was Professor Konrad Spindler of the Institute of Archaeology of Innsbruck Univ. who declared to the BBC interviewer in 1993 that Otzi was of the Central European Early Bronze age, i.e., lived around 2000, B.C.. Perhaps, the BBC mis-translated Professor Spindler or perhaps, later, Professor Spindler used more precise dating and changed what he claimed about Otzi’s approximate age. The technology Otzi possessed, Professor Spindler said (unless his German was mistranslated to English), was what made him believe Otzi was of the Bronze Age. It would be helpful, since you are asserting your facts merely on your own authority, if you would provide us with your credentials (just the basics) to establish your credibility for those of us unfamiliar with your expertise on this subject. Thank you for correcting me (although…. with your unknown expertise… and my failure to verify what you say with my own research, I’m not sure I HAVE been corrected… yet). I have no personal knowledge as you do of these facts and am not going to take the time to research them. My source (at about 5:57 in the BBC video above (See youtube for 1993 BBC documentary on Otzi Part 1)) was Professor Ko-n-rad Spindler of the Institute of Archaeology of Innsbruck Univ. who declared to the BBC interviewer in 1993 that Otzi was of the Central European Early Bronze age, i.e., lived around 2000, B.C.. Perhaps, the BBC mis-translated Professor Spindler or perhaps, later, Professor Spindler used more precise dating and changed what he claimed about Otzi’s approximate age. The technology Otzi possessed, Professor Spindler said (unless his German was mistranslated to English), was what made him believe Otzi was of the Bronze Age. I watched the 1993 BBC segment. The archaeologist gave an approximate date of 2000 BC. Carbon dating showed that he was wrong; Oetzi is over a millennium older than that. Moreover, the ax, although it might resemble an Early Bronze Age design, was copper, not bronze, which fits with the 14C date. “The simulations revealed…” nothing. The simulations revealed nothing except the biases of the programmers. It doesn’t matter how many papers they reviewed to refine their inputs, it doesn’t matter how refined those inputs were. If I drop a marble through a garden hose, it comes out the other end. An oversimplified analogy, perhaps, but essentially what their expensive computer did. Let’s ask the question: granted that all surfaces cannot radiate Far-IR at the same rate, how does that explain: 1. The presence of an Arctic Polar Ice cap for approximately 27 million years; 2. The presence of an Antarctic Polar Ice cap for approximately 34 million years (quoted from Plimer, “Heaven and Earth” from memory, please correct me if my memory fails me); 3. The increase in Sea Ice at the Antarctic, the overall increase in sea ice in recent years? They haven’t discovered a “mechanism” but yet one more way that they don’t understand the environment in which natural processes take place. Natural process which created the polar caps in the first place. If their new hypothesis can’t help explain how that came about, can’t explain why the amount of ice waxes and wanes or why it does as much or as little as observed, or how this newly “discovered” fact interacts with other natural processes, then they haven’t got anything yet to speak of (It has been very well understood since before 1859 when Kirchhoff formally posed the question in relation to frequency for the first time, that not all surfaces are perfect emitters of electromagnetic radiation across the entire spectrum… It would appear that Lawrence-Berkeley Lab is only what, 160 years or so behind the curve? But hey, maybe computer models aren’t completely useless: they made the heroic contribution of bringing the esteemed folks at Berkeley Lab up to speed from a century-and-a-half lag—). Not that the attention on a previously ignored variable isn’t a good thing, in that it may lead to a better understanding of why there is a polar ice cap and why it behaves the way it does; but an explanation for global warming? An example of global warming in action? Another reason why we must deconstruct the modern world in order to prevent a few thousandths of a degree C increase in a metric, Global Mean Temperature, upon which—settled or not—science has yet to define adequately? Possibly. But just as possibly, it may not, since it doesn’t explain why sea ice had to have increased during those same seasons at some point in the past. If it cannot explain why ice grew as well as why ice shrank, or if it doesn’t have a place in a theory which explains both waxing and waning polar caps, it’s a red herring. They aren’t quoted as saying they’re trying to discover why the ice behaves the way it does—just “we think we know why ice melts.” Revealing a bias, perhaps? A conclusion not justified by what is presented here. Again, simulations do not reveal actual events. They reveal that the program is biased that way. If the biases are all properly controlled for, the best a simulation may do is suggest. I mean, did actual measurements over a 25 year span on the Tibetan Plateau confirm this? Please excuse me, when I say, ” They aren’t quoted as saying they’re trying to discover why the ice behaves the way it does—just ‘we think we know why ice melts.’ Revealing a bias, perhaps?” I’m putting words in their mouth, and unintentionally, in a way that would make them sound like fools. That was not my intention. In a less supercilious way, I mean that they appear to be drawing conclusions not justified by what is revealed here, and the only thing actually revealed that I can see is a bias towards global warming—and not a dedication towards discovering the mechanisms that make the polar caps behave they way they do. I mean them no disrespect. I responded to your “hello” the other evening… . AHEM! #(:)) … hope all is well (with you and with Einstein, Jack Russell, Cassie, and….. the cat). No. There are no unknown unknowns. The models account for EVERYTHING. And this would be perfectly clear if only we could find the right corrections to apply to the raw data. lol, good one, Brock Way. using your sarcasm for a semi-serious point: “The models account for EVERYTHING.” — NOT. Guess we need a Sarbanes-Oxley Act for Climate “Science”….. seriously…. 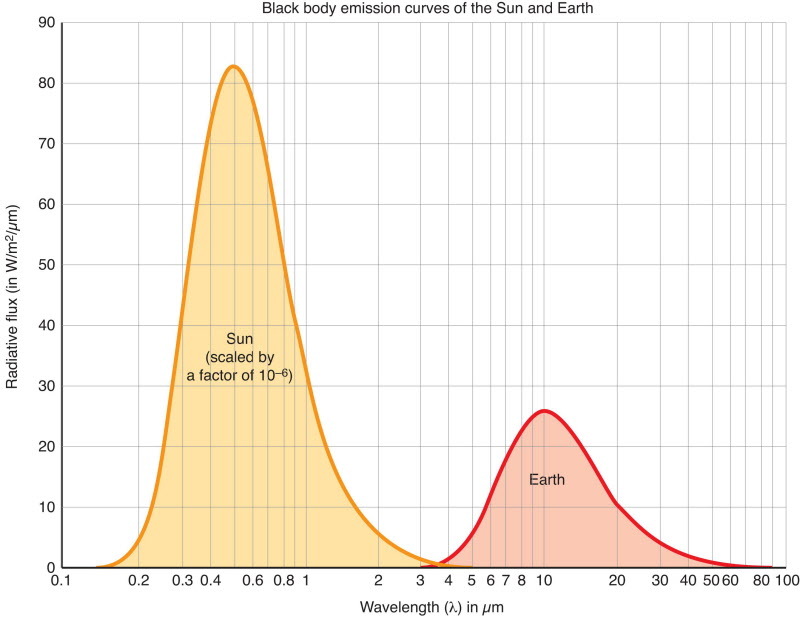 The incoming solar spectrum is intense, narrow and focused, the outgoing earth spectrum is fat, lazy and dissipated, yet they are equal in total energy. It has been well known since the 1950’s that, ironically, snow is one of the most efficient BLACKbodies known. The intensity of solar input at the peak of summer in the Arctic is 17% of 17% of normal solar vertical input. Solar energy comes it at a low angle, spreading the energy to 17% and, also, there is intensity losses by traveling through so much more atmosphere getting there, an 83% loss. So at the peak of summer solar input is only 3% of normal input and any heat realized by open water would be countered almost immediately by evaporative cooling. And, remember, on both sides of the summer peak radiation is about 3 months of this input going to or from zero and then 6 months of darkness. For anybody to think that this energy input has any measurable effect in the Arctic is deluded. It is warm water pumped into the Arctic basin by the NAO and warm air from the south that melts the ice. The Sun is just a source of light but not much more, and the albedo of the ice makes this even more meaningless. They are talking about outgoing. Of course, this would be cooling the planet and not melting the ice, but hey, they might be confused yet on to something. I realize, now, that I made a mistake in talking about God, here. I thought that by telling the reader that I was “sharing my heart” (which I most fervently was) it would dispel potential animosity and bitter controversy. I see now, that I was mistaken. I won’t do it again (unless I forget myself — at least it will be not for a long time). Sorry for the non-science, heartfelt, writing above. I am so grateful for all you do and do not want to disrupt your fine site. Since only you will see this, please know that I am praying for your recent health concern (I’ve prayed about your hearing issues for a long time, now) — have been since you mentioned going to see a health professional about 10 days ago. I hope all is well. Do let us know. In any event, I’ll keep praying. Well obviously the less ice causes warming isn’t a runaway/overriding effect otherwise we wouldn’t have any polar ice nor a recovery from the 2007 minimum. Similarly the CO2 drives climate theory is untenable because we would have a runaway greenhouse by now. The more CO2, the more warming, the more warming the more CO2 is released from the oceans etc. Silly layman observation… low humidity over sea water increases evaporation? Evaporation is energy loss? Far IR in the 15 micron band from CO2 in the atmosphere might be helping the rate of evaporation? It is certainly cold in the Arctic region. Now at about -20C. Take a look at “The pineapple express” an atmospheric river from the Pacific that has a warming effect and is known to cause melt in the Arctic. Can someone explain this to me. I am a little confused. To my knowledge the North Pole isn’t particularly arid. The Arctic Ocean isn’t very dry at all. So what relevance does this finding have in the Arctic? Actually most Arctic areas are quite dry. The amount of precipitation is mostly in the desert range and and the amount of moisture in the air is low, particularly in winter. Inland East Antarctica is the most extreme desert in the World. Or, of course, the atmospheric warming over the Arctic could be due to oceans releasing heat that they could not do under the insulation of the ice. Problem with your assumption that the atmospher over the Artic should be warmer. That’s not the case unless if you only go for temperatures from reflexion-reading….. Actually the big problem with all so called readings in Arctic is that they in most cases aren’t taken on SAME Latitude and Longitude more than for a few days if ever. That’s due to icedrift in Arctic. Read about Nansen’s ships drifting and you might understand. One other thing. If you only take figures taken at exactly the same spot Latitude and Longitude there aren’t any significant differences over the last 30 years! I’ve always wondered why it feels so hot walking on ice. All that heat blasting up at me like I’m on a burning hot asphalt surface in summer. Now I know. That’s why the emperor penguins congregate in inland Antarctica over winter – all that heat coming from the ice. I guess they have to dance about to keep their feet from burning. I wonder, if one were to place a source of shortwave energy at the low angles typical of the Sun in polar regions, what does one find for uncertainty of absorption. Indeed, oceans appear black when viewed from above, but not necessarily so at low angles. I’ve love to know how they came to this conclusion and how energy given up to evaporation and additional near surface absorbtion by water vapour was taken into account. This is a completely worthlress hypothesis of what causes Arctic warming. It is totally incapable of explaining why the Arctic warming started suddenly at the turn of the twentieth century, after two thousand years of slow cooling. The explanation is in my psaper that appeared in E&E 22(8):1069-1083(2011). Warming began as a result of a rearrangement of the North Atlantic current system that started to carry warm Gulf Stream water into the Arctic Ocean. Direct measurement of water temperature near Svalbard showed it to be higher in 2010 than at any time within the last 2000 years. Lawrence Berkeley has access to all literature on this but they are just too lazy to actually use it.As a result, they spent probably a million dollars on studying the far infrared properties of the Arctic, ignorant of the fact that the problem was already solved.